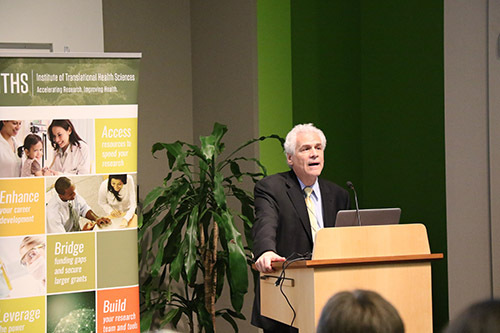 For the first time since ITHS was established in 2007, leadership from the National Institutes of Health (NIH) came to Seattle for an on-site visit. 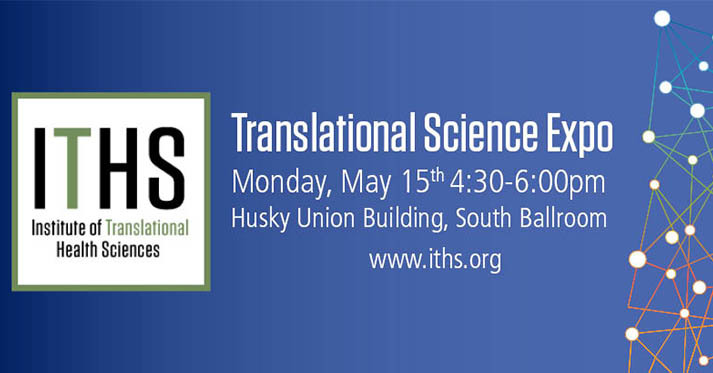 The Institute of Translational Health Sciences (ITHS) has been funded over $188M over the past 11 years through the Clinical and Translational Science Award program at the National Center for Advancing Translational Science (NCATS), an institute within the NIH. 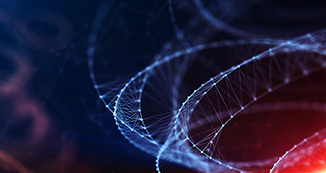 This program was established to fund a network of ‘hubs’ which help advance scientific discoveries by turning observations in the laboratory, clinic, and community into interventions that improve health; a field of investigation known as “translational science“. As part of the funding agreement, ITHS holds an External Advisory Board meeting to share ideas and determine opportunities for improvement. 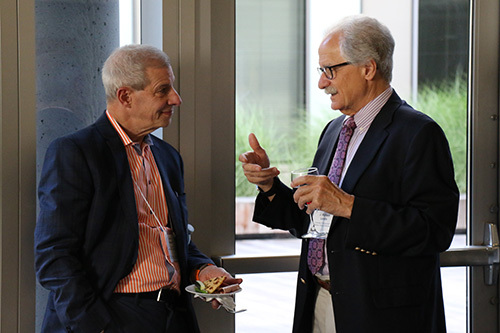 The two-day meeting is an opportunity for ITHS leadership to solicit feedback from an outside group of translational science experts. These experts come to Seattle from around the country to share their experiences from implementing similar programs at their institutions and within other CTSAs. 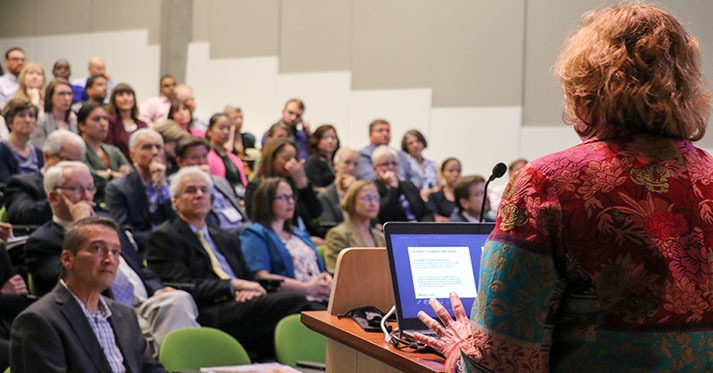 Faculty from across the three ITHS partner institutions (UW, Fred Hutch and Seattle Children’s) come together to highlight their program successes and seek feedback on future work. ITHS program areas span a large array of activities, ranging from community-focused initiatives, research services and units, education and professional development, funding opportunities, and access to free tools and resources. 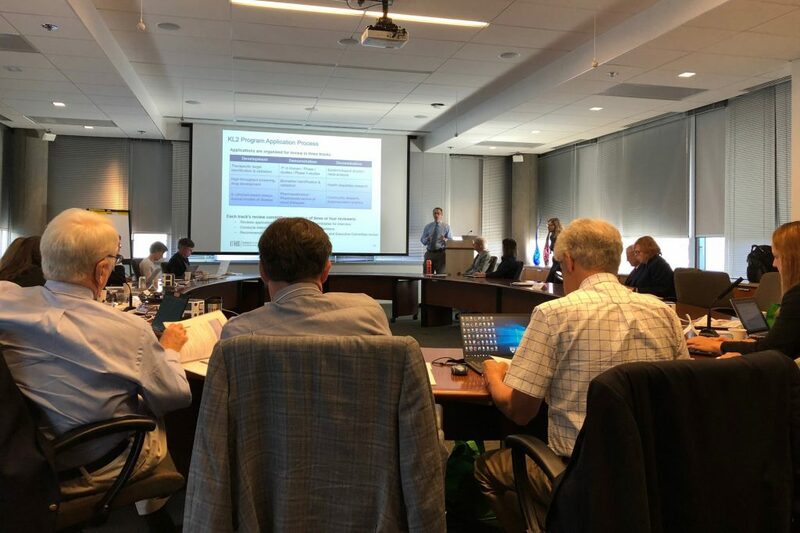 This year’s meeting began with a high level national overview and welcome message from NCATS director of Clinical Innovation, Michael Kurilla. When Michael G. Kurilla joined NCATS in November 2017, he made it a personal goal to visit each CTSA the following year. As a leader of Clinical Innovation, Dr. Kurilla provides oversight for the CTSA program and all ensuing initiatives to provide innovative solutions which advance the impact of medical research. Kurilla was joined in his visit by Mary Purucker, MD, PhD, CTSA program director, and Erica K. Rosemond, PhD, CTSA deputy director. The ITHS External Advisory Board consists of six members. Thomas F. Boat, MD is Dean, Emeritus of the College of Medicine at the University of Cincinnati and Professor of Pediatrics in the Division of Pulmonary Medicine at Cincinnati Children’s Hospital Medical Center. Edward H. Shortliffe, MD, PhD, is Professor of Biomedical Informatics and Senior Advisor to the Executive Vice Provost for the College of Health Solutions at Arizona State University. Tesheia Johnson, MBA, MHS, is Deputy Director and Chief Operating Officer of YCCI and the Associate Director for Clinical Research for Yale School of Medicine. Robert Toto, MD, is the Mary M. Conroy Professor of Kidney Disease; the Associate Dean of Clinical and Translational Research in the Graduate School of Biomedical Sciences; the Director of the Center for Translational Medicine; and the Medical Director of UT Southwestern’s Multi-Specialty Clinic. Patrick Flume, MD, is a Professor of Medicine and Pediatrics, as well as the Powers-Huggins Endowed Chair for Cystic Fibrosis at the Medical University of South Carolina. J. Richard Landis, PhD, is director of the biostatistics unit within the Center for Clinical Epidemiology and Biostatistics (CCEB) and as faculty co-director of the Clinical Research Computing Unit (CRCU), a designated core research facility providing clinical research informatics (CRI) collaboration and services for clinical and translational research investigators at the University of Pennsylvania.